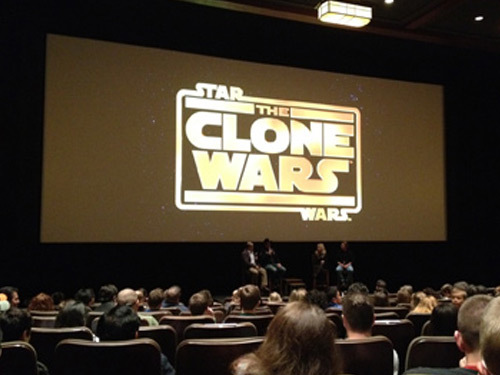 StarWars.com: A lot happened during Season Five, maybe more pound-for-pound than any other season of The Clone Wars. Things like the deaths of Duchess Satine and Savage Opress, Darth Maul versus Darth Sidious, and everything with Ahsoka. Was this all planned to lead up to this point, or did it just seem time to raise the stakes? Dave Filoni: I think it’s just natural, to be honest. I don’t know that there ultimately was a plan to say, “This year we’re going to kill a bunch of main characters.” [Laughs] It’s just that as the story evolves, it just kind of demands it after awhile. You know, you can’t have certain characters around in the future, and you have to deal with them. So, it’s more the natural progression, and our story needs were as such that things had to change on Mandalore and things had to change for Maul. We had been asking a lot of questions by creating these situations, and it was time to answer those questions. StarWars.com: I know that George Lucas was heavily involved in the story creation of the show. Is there anything this season that he gave specific instructions on? Dave Filoni: Not particularly. I mean, I would say that the origin of the idea, Darth Maul will face Darth Sidious, is a George idea. “I want them to fight.” When it comes down to the directing of where they’re going to fight, the staging of the fight, that’s all what I do and bring to the table. So we go over the broad story beats of something, and he just trusts myself and the writers and the rest of the team to really bring it to the screen. I think that freedom and trust from him is what in some ways makes this show. We’re challenging more boundaries and not reciting things so much. We’re developing more and experimenting more and I think the results are all part of that collaboration. StarWars.com: Is there anything, conversely, that he might have resisted that you had to push for? Dave Filoni: I don’t know about “resisted,” because when George doesn’t want something to happen, it’s probably not gonna happen. [Laughs] But there are several things this season… Bo-Katan, for instance, wasn’t a character that was pitched in a story meeting. She was a character that I created last season; she was just “Death Watch lieutenant” in the script, and I wanted to make a strong female Mandalorian character, so I just made her that character and then brought her back into this season. There were a lot of things that I’ve just learned from George over the years that I thought, “This would be a beneficial plot point.” Making Bo-Katan and Satine sisters was not in the original pitch, either. So there were a lot of things like that that we put into the stories that I hope made the stories stronger overall. I don’t know that they were ever hotly debated as much as they were ideas that came much later in the situation. The idea for Savage to revert back to his natural form, you just come up with that stuff on the fly. Everything that I [did] creatively is really based on the initial discussions that I have with George, and taking tons of notes and making visual drawing notes. If you look at the original drawings that I do in the room on the day, they’re very close to what ends up onscreen visually. StarWars.com: One thing I loved about this season was how it jumped tones from arc to arc. They all seem to fit together in the end and I was really impressed at how the show was able to pull it off. You had something like the younglings arc, which to me was like The Goonies-as-Star Wars, and then you’d have Darth Maul doing some really terrible things in another arc. How do you approach that, as you’re shepherding the series, to make sure that you can tell these different kinds of stories, but they all fit together? But there are funny reactions from fans. They’ll see the trailer for the beginning of the year, which really sets the tone for what the whole season is. But everybody within it, in Star Wars fandom, kind of picks the thing that they like most in that trailer and that’s what they most want to see. So there are fans that, just to be honest, their interest level in droids or young Jedi is very low. 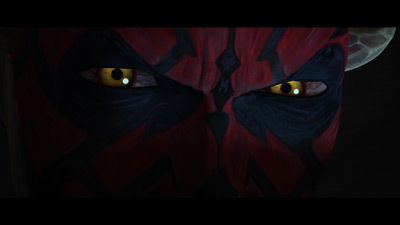 They want to see Maul come on like house-on-fire and destroy things. Oddly, these are probably the same fans that, when we said we were bringing Maul back, were just beside themselves with the logic of that. But our fans evolve and change quite dynamically. [Laughs] And then there will be some kids — probably the younger skewing audience — they’re all about the Jedi training, they’re all about going to Illum. Because that’s something they’ve always imagined, and it’s something I imagined as a kid, to have an opportunity to see that and to go there. So yeah, and then there are people like us that are more like… I don’t know if we’re Star Wars generalists, but we just kind of like it all. Everything we get to see in Star Wars is just a trip to the galaxy and you just accept that something that makes Star Wars special is that it has all these tones and attitudes in it. I used to think of it growing up as, “Jabba’s Palace is practically The Muppet Show.” You watch a little bit of that and you’re like, “Wow, I’m watching The Muppet Show.” But if you go and watch something with the Empire or the Emperor, it’s almost a completely different movie. So again, that’s kind of what we’ve captured in our course of making this show. Dave Filoni: [Laughs] Right? Very hard. StarWars.com: So you’re obviously aware of that fan expectation. Does that make it harder when you’re planning a season to say, “We have to put Maul on the backburner a little bit?” Is there a temptation to do a lot of the more intense material with the main characters? 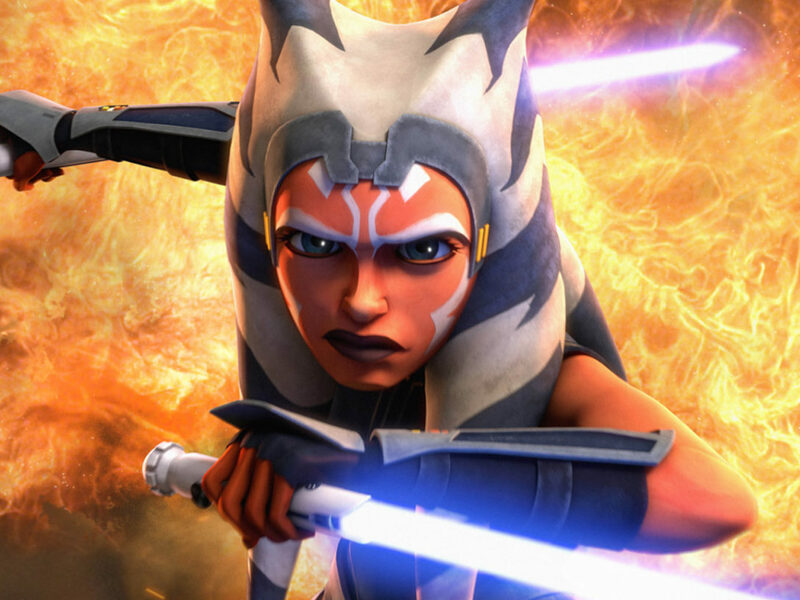 Dave Filoni: I think that we balance it pretty well, because we try not to overkill things. [We were] all pretty aware, the writing team, of trying to keep things balanced. Because we always feel like characters have a certain shelf-life. You know, you get them into these fantastic situations and they keep getting away. Well, how believable is that? You start to make some of the villains kind of impotent if you do that, or the heroes inept. That’s why I think some characters paid such a heavy price this year. For Satine, how many times was she involved in this story? It just demanded a resolution, and we had such an excellent opportunity to resolve her story. George really got on a bend of having an episode about the droids, an episode about the Jedi, an episode about politics. And when I say episode, I mean arc. And he kind of liked to hit those different themes every season. Because of the number of stories we tell — we actually do 26 a season, we write more than we actually air — that’s why some ideas, you don’t see. You didn’t have a very big a clone-centric arc this season, but it’s one of the next storylines that’s up [in our bonus episodes]. We didn’t get really into Mother Talzin or Ventress much this season. The role Ventress played was a very important one in the end, but before, we had had two seasons in a row where we had mega Nightsister action happening. So you know, a lot of those threads in the end come together. 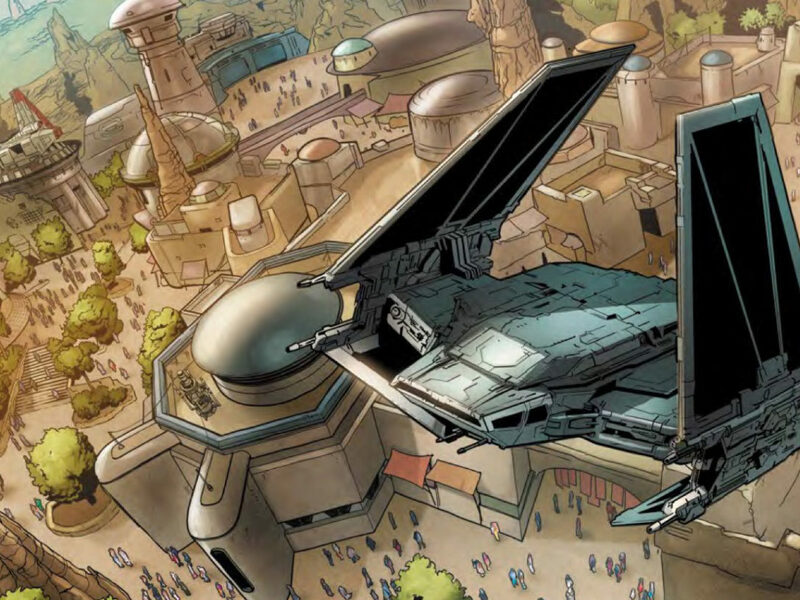 StarWars.com: With the younglings arc, one thing that stuck out to me about it was that it had that ’80s kids movie vibe. And what I really liked about it was that Hondo and the pirates were genuinely threatening and scary. The villains in The Goonies were scary, ET had scary moments. Kids movies from the ’80s all seemed to have threatening villains, but at the end, you get through it and everything’s okay. I thought the younglings arc honored that. Dave Filoni: I think that one of the things when we set out to make the younglings arc was that I was very concerned in the beginning that it could get cheesy so quickly. It could get very hokey. But I tried to focus on movies that I really liked as a kid. One of them would’ve been Goonies, one of them would’ve been Explorers, even stuff like The Lost Boys, where you see young people doing heroic things. There’s a certain easy believability about it, and part of it you definitely credit to the actors in it. I thought we had a chance in our story to do a kind of Pinocchio thing, which is an escalation of how bad things get for these kids. Hondo comes out, and he’s dangerous, but he’s also very funny. That’s one type of villain. He’s kind of like the tricky fox. He might eat you, but if there’s something in it for him, he’ll string you along. I think something that really works about that story arc is, you begin with a very magical moment for these kids by themselves, where the threat is only within themselves. And then you move onto the next stage, which is one type of external threat, but it’s really a selfish threat motivated by trying to make money. And [Hondo and the pirates] are funny but threatening, and I think the kids are able to deal with them to some degree. It’s only when they’re really on their own and they go and confront that by themselves and trick Hondo in a very carnival kind of way — it reminds you a little bit of Dumbo — that then real evil comes knocking on their door in the form of General Grievous. It’s kind of interesting to see them grow up over four episodes so quickly, and even to the effect that they make one of the would-be villains, Hondo, not act like a villain later. 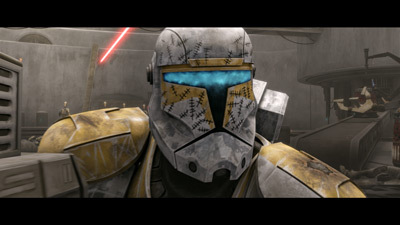 When Grievous shows up it reminds us all that this guy is just an evil, murdering thing. There’s no negotiating with this guy. I think that’s why it really works. The kids and the actors that portrayed them really sold us on their, at times, naiveness and cleverness, without being too far over the top. I tried to do some rewrites and direct a lot of it through action. The opening of part four, where they have the tank chase, none of that was in the script that way at all. In the original script, the kids are being chased on a tank by a tank, and a stray shot flew over their tank and hit the Crucible, and blew it up. The characters on the ship all died, and while [the younglings] were out there, they then got captured themselves because they had no ship to escape on. They saw Grievous’ fleet fly overhead and the pirates just abandoned them out there. They meet up with the pirates later. Those were all the original beats of the outline and the original script followed it, but I thought that we hadn’t had a big action set-piece in awhile when I looked at it as one 88-minute movement. And I knew that the middle part of that episode was going to be a lot of talking and deliberating about how they were going to get past Grievous. So I took a page out of something George and I had been talking about, which was expressing a lot of character through action. He and I had been talking a lot about Indiana Jones at the time. Two things kept coming to my mind: the truck escape in Raiders and then the fight on top of the tank in Last Crusade. So I just took it and quickly rewrote it, beat for beat as, you know, they’re in this tank and they call for help, and they get this ship up in the air. It just seemed to create a better cascading problem, which is something George was definitely going over with me. You have your heroes in a problem and it continues to get worse. So I really wanted to express that. It gives you such a speed off the bat, and then when something goes wrong, it all goes wrong at once. 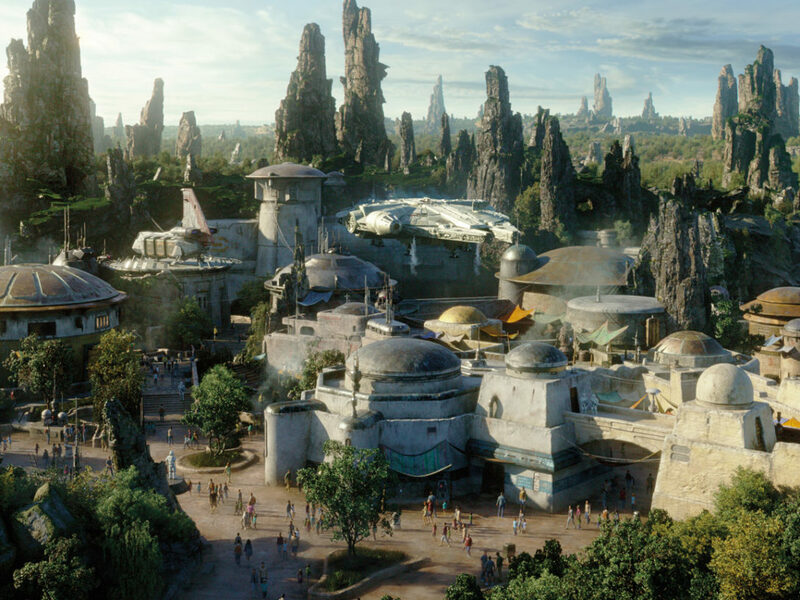 StarWars.com: I wanted to go through a few key moments and details from the season with you, and have you just talk about how they came to be, how they evolved, and your overall thoughts on them. 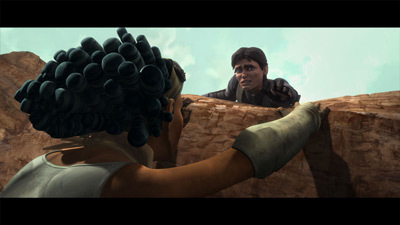 StarWars.com: The death of Steela Gerrera. 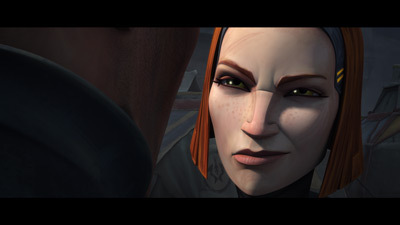 Dave Filoni: Steela is a character that George created. We wanted a brother/sister duo on Onderon, and the character Saw was a character that George had already created, and he just wanted to involve and tell a little more about that character. So in the course of that we created Steela [to be Saw’s sister], who would act as a natural foil to Ahsoka, as far as Lux was concerned. I will say this about Steela. When I think of her, I think that she’s one of the biggest regrets I have this season, which is I wish we hadn’t killed her. We all ended up liking that character very much. I thought she was very successful. Dawn-Lyen Gardner played her and played her brilliantly. I just thought that there was an opportunity to bring a character like that back in the future because we liked her so much by the time we were ready to kill her. But in the writers’ room, we didn’t feel like we could tell that story and let everybody get off scot-free. It just couldn’t work out that neat and there had to be a price paid for their freedom, and it ended up being Steela for various reasons. She was just a fantastic character. I thought the design for her turned out great. Yeah, really enjoyable. Big regret. StarWars.com: I was pretty shocked when she died. I did not see that coming at all. 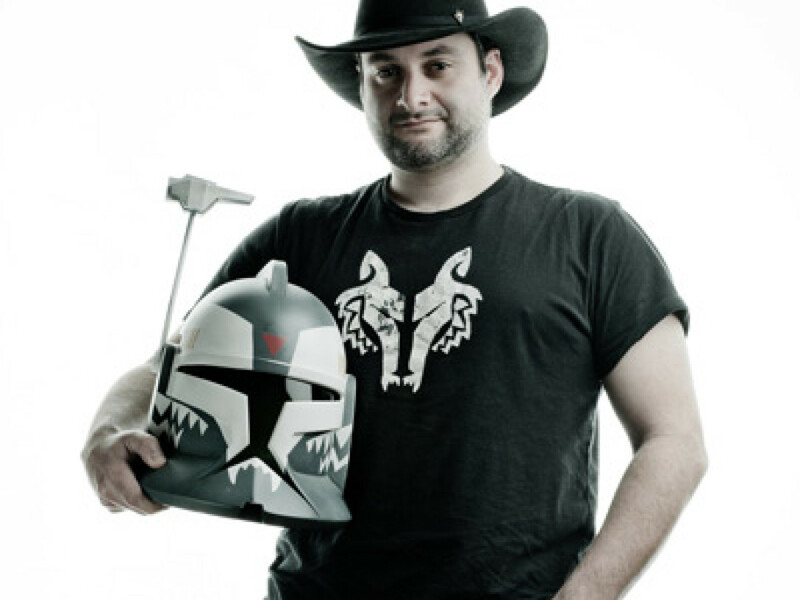 Dave Filoni: It’s one of our best deaths, I have to say. If you’re gonna go out, go out well. We worked on that sequence in editorial. I wanted just the right shots to get that moment when you think she’s gonna come out of it. If you watch in the background, there’s one great shot that starts, I think, on Ahsoka and Lux looking up. And you’re looking at their reaction to what’s happened. The camera pans all the way up around and then looks down over the cliff at where she is. But the animation on Lux is just fantastic. 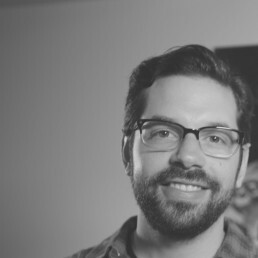 [Animation supervisor] Keith Kellogg and everyone did a phenomenal job. And that’s one of the big places we took a leap this year, I think, was in the emoting of the characters. The subtle expressions really read this year, and we had a very sophisticated amount of information to get across. I think we finally are doing it well now. 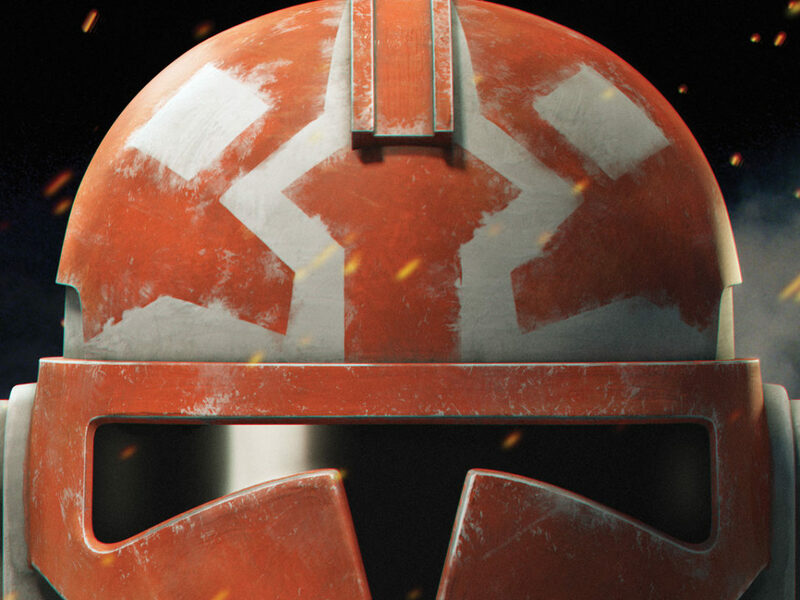 StarWars.com: Gregor’s Gerry Cheevers-style helmet. Dave Filoni: Boston won the [Stanley] Cup when we were designing it. And I thought, it’s a great visual. Anyone who’s played hockey knows Gerry Cheevers’ mask. By most accounts, it was one of the first ways that goalies started to paint their masks. I played goalie because you got a mask, and there was always such a strong correlation there to me with Stormtroopers and helmets. So I thought it was kind of just a natural nod to that, and I didn’t think Mr. Cheevers would mind, and I think Boston people got a big kick out of it. The thing too is, a lot of people don’t even know. They would see it and not even think anything, which is kind of tragic to me. [Laughs] So if putting that out there has some kid look it up and then they find a picture of Gerry Cheevers, I think that’s cool. You know, why not? That just goes back… I grew up in Pittsburgh and I painted goalie masks as my summer job. StarWars.com: Is Gerry Cheevers aware of the tribute? StarWars.com: I know you’re a Penguins fan. I should let you know I’m a big Rangers fan. Dave Filoni: Oh, I’m sorry to hear that. That’s terrible. I like [Henrik] Lundqvist, though. Lundqvist’s a great goalie. StarWars.com: Is there any chance, since you like Henrik Lundqvist, we could get a “King Henrik” in the show somewhere? Dave Filoni: [Laughs] He’d have to do something significant like win the Cup, which is just not gonna happen. [Laughs] It’s not gonna happen! StarWars.com: He won the Vezina! 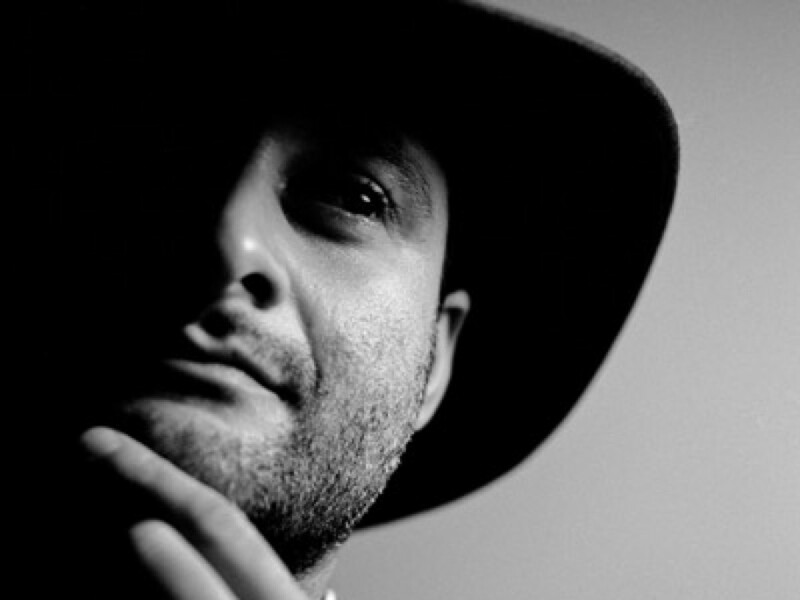 Dave Filoni: Well, that’s nice. Someone wins it every year. StarWars.com: “The Gathering,” in which young Jedi have to find their lightsaber crystals, and the depiction of lightsaber construction. Dave Filoni: “The Gathering” really, I think, was George’s effort to clarify the way he felt Jedi got their lightsabers, and he felt that it was something that happened when they were very young. He definitely threw us all a curve when told us that the crystals don’t have a color until the Jedi actually have them. And then I thought that that was really interesting. That’s one of those things that only comes from George, when you’re going to the mind of the Star Wars encyclopedia. It makes sense, because if an average person goes in that cave, there’s tons of ice and tons of crystals and you can’t tell the difference between them. It’s almost like a defense mechanism. But when a Jedi is in tune with one, the one that calls to them, they can find it. And then when they have it, it basically will make a blade when it’s bent a certain color. I thought that was one of the nice revelations there. I also liked that it was a very spiritual thing. The threat in that cave is basically only what you take with you, which is exactly what Yoda tells Luke. It makes sense for these very young children. It’s come up since then. 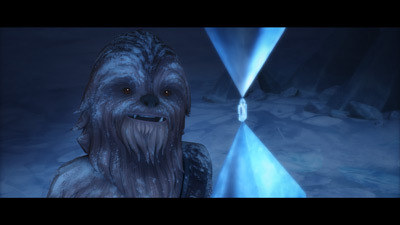 I’ve been asked, “So what do Jedi do if they lose their lightsaber later?” Well, A) they’re not supposed to lose their lightsaber, but B) there are enough lightsabers that have gone from fallen Jedi over the many, many, many years, that they actually have lightsaber crystals at the Temple. 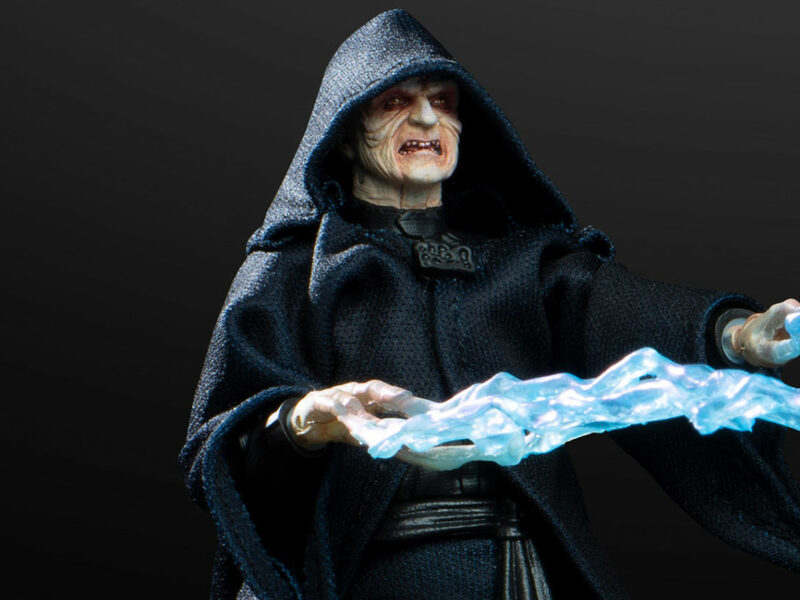 So they don’t have to actually go all the way back out to Illum to get one, and because it’s a fallen Jedi they can actually use that crystal and it will work for them. StarWars.com: He doesn’t freak out. 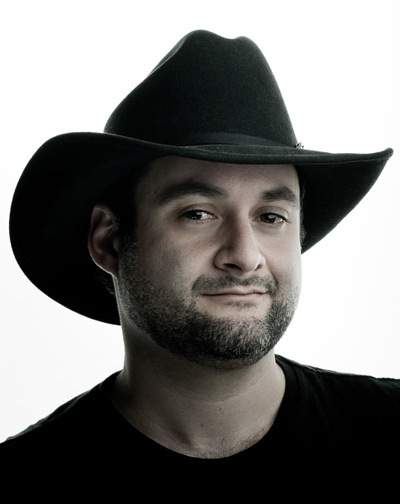 Stay tuned for part two of StarWars.com’s interview with Dave Filoni! Dan Brooks is Lucasfilm’s online copywriter and editor, and spends his days writing stuff for and around StarWars.com. He loves Star Wars, ELO, and the New York Rangers, Jets, and Yankees. Follow him on Twitter @dan_brooks where he rants about all these things.